The company will show the latest generation of web monitoring systems, the POWERScope 5000. 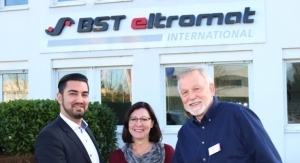 BST eltromat South East Asia, a subsidiary of BST eltromat International, will be showing its wide product range for quality assurance systems for web processing industries at the first Labelexpo South East Asia 2018. The exhibition will take place in Bangkok, Thailand, from May 10 to 12. Visitors are welcome to see a selection of products for the label market and can talk with specialists from BST eltromat South East Asia on booth F25. The company will show the latest generation of web monitoring systems, the POWERScope 5000. This web monitoring system offers greatly improved image quality compared to previous solutions. It is a remarkably compact but powerful system, which provides the operator with clear, sharp images of the printed product. With multiple standard features and options such as a touch panel controller, dual-touch touchscreen and back flash lighting, the POWERScope 5000 offers true versatility and flexibility, the company says. The system is suitable for narrow or wide web applications and it is available in a manual or motorized camera versions. The TubeScan family from BST eltromat partner, Nyquist Systems will also be present at the show. 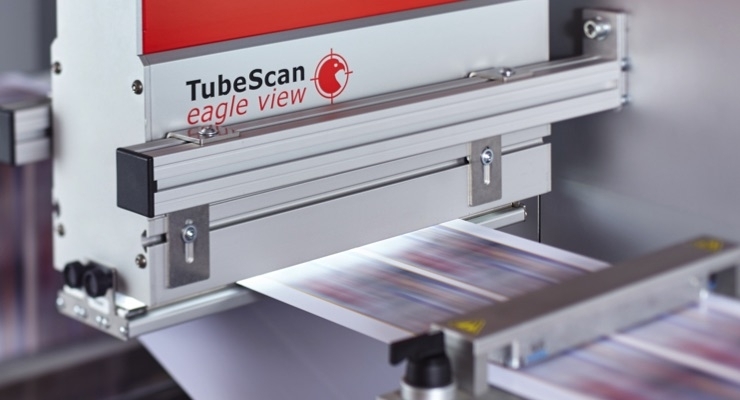 The company will demonstrate the TubeScan Digital Strobe offering full web viewing and this will also be equipped with the optional 100% print inspection module. Available in multiple web widths from 180mm up to 850mm, and web speeds ranging from 150 to 400+ meters per minute (depending on model), the TubeScan Digital Strobe is a very versatile system. The TubeScan Digital Strobe also offers label counting and distance measurement options. Visitors will also be able to learn about the TubeScan Eagle View multi-camera system, and the latest development, the QLink workflow solution for TubeScan. The QLink Workflow solution offers new possibilities for process and production improvement. With its unique data handling, synchronization, and error capabilities, it offers state-of-the art process management at a relatively low investment. BST eltromat South East Asia is also pleased to show a selection of their standard web guiding products. In the focus will be the economical but powerful EcoGuide, the reliable line and contrast sensor CLS Pro 600 and an example of CompactGuide systems. With many years of experience in the web processing industry, BST eltromat South East Asia will be happy to discuss and advise on the perfect web guiding solution for its customer’s applications.